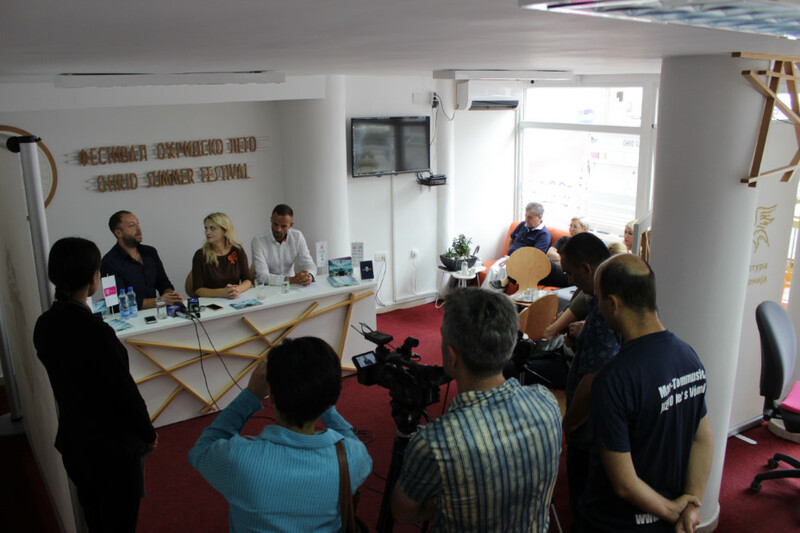 The 57th Ohrid Summer Festival has been marked by impeccable realization, full spectacles, positive critics and satisfied artists, said the director of the Ohrid Summer Festival Suzana Vrencovska at the closing press conference, adding that during the past 40 days Incredible experience with great music stars, top theater performances, premieres, guests from around the world, sold out events after just two days of their announcement. -The excitement was great, but also the obligation to organize every festival evening which, thanks to the selectors, Gjorgji Cutkovski and Zoran Lutkov, abounded with top art and attractive new contents. We had 57 events, music, drama, ballet performances and activities in the part of the additional program . In addition to the wonderful concerts in the field of classical music and theater performances, we offered attractive programs such as jazz and projects and in the additional program. The story about the famous Ohrid pearl was told with the promotion of the documentary film “Biser”. The “Children’s World” project was realized, which was a place for cultural expression for the young artists to affirm their potentials and ideas, which stimulated the positive stimulation of the young creators and the prominent Artists. We expanded the program to new scenes and to existing we created bigger conditions for artists. It was the official closing ceremony last night in the former barracks “Mihajlo Apostolski”, an ambience that complemented the story of the play “No Country”, directed by the famous Alexander Morfov and performed by the Macedonian National Theater, said Vrencovska. At the 57th edition of the Ohrid Summer Festival, artists from several countries from Europe and the world took part in the festival, including Russia, USA, Canada, Austria, China, Indonesia, Israel, Italy, France, Germany, Poland, Croatia, Bulgaria, Bosnia and Herzegovina, Montenegro, Romania, Armenia, Turkey and Greece. According to Vrencovska, statistics show that this year there is an increase in ticket sales, and part of the festival audience was also numerous viewers from abroad. -On-line tickets were purchased from Australia, China, India, the United States, England, Belgium, Russia, Poland, Turkey, the Netherlands and of course the countries of the region. Over 30,000 visitors, art lovers, from around the world came to enjoy top music and theater events. A place was demanded more for the concert for the opening ceremony, the birthday concert, for the performance by Vlatko Stefanovski with the Chamber Orchestra from Bitola where “Dolni Saraj” was too precious for all those who wanted to be part of this event. Also, “St. Sophia” was filled to the last place. What also left an impression is the record attendance of the dramatic program where the theater of all performances without exception was crowded. It says that we have completed the work seamlessly together with the whole team behind the whole realization, explained the director of the “Ohrid Summer” Suzana Vrencovska. At today’s press conference, the director of this national institution emphasized that in the future, the priority will be the festival, which is held under the auspices of the President of the Republic of Macedonia, and with the financial support of the Ministry of Culture, as well as support from the Local Self-Government Keep the epithet of the highly renowned European festival. According to the selector of the music program at the Ohrid Summer Festival, Gjorgji Cutskovski, the past 40 festival evenings were a wonderful period of exchange of love, respect and timely artistic experience. – Over 40 festival days, on the scenes in the Antique Theater, Dolni Saraj and the church St. Sofia, 48 music events were held. If the increased ticket sales of more than 100% over the past years are the benchmark for qualitative offer of this year’s edition from my own point of view, I must point out that it was a real experience for me to greet artistic consumers after each concert, indelibly expressing my own pleasure from Beauty and quality of music and artists that this year were part of the festival program. Overwhelming concerts on every musical event are evidence that our effort to enrich the festival program as a program intended for a wide range of art lovers contributed to maintaining the long tradition and high artistic rating of the festival as well as contributing to the development of tourism in the city of Ohrid, Said music selector Cutskovski, explaining that he is particularly proud of the professional engagement of the team behind this event. -Huge gratitude to the President of the Republic of Macedonia and the Ministry of Culture for the continued support and to personally thank everyone who through their professional engagement contributes to this festival to be the most prominent art festival in southeastern Europe. For me, it was an honor and a pleasure to be a small link from this long artistic tradition and for me as an artist, Ohrid and Ohrid Summer will always be a benchmark for hospitality, artistic quality, tradition and the most important love, added Cutskovski. 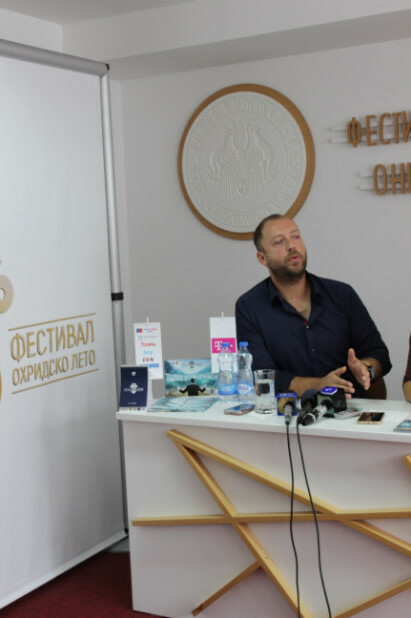 The selector of the Ohrid Summer Festival drama Zoran Ljutkov also stressed that according to the facts and the current festival statistics, a festival edition has been successfully held behind us. -It’s a pretty picture when you see crowded screens, crowded open space. I am especially happy that we have filled the areas like “Dolni Saraj”, one of the biggest ones. I am fortunate enough that yesterday, at the closing, we conceived a new space, a new place that I hope and will be used in the future as a theater scene. The map search is more likely a sign that we have done a great program. The plays, genres were different for all tastes. The program was conceived as genre, production, stylistic, as every national theater in Macedonia should have a program. I am happy that this event has such a team that seamlessly realizes the entire program. To have 57 cultural events, to complete without any mistake, it is one of the greatest successes that a national institution can wish for, said Ljutkov at today’s press conference. Year, this festival has always contributed greatly to the mission of EFA and its projects.